Yes, 4 attempts were made to get the rebuilt engine into the car this AM. They all failed gloriously. Let me go into quick detail of the adventure that Len, Gene R, and I had. Len and Gene arrived at 9:30 ready to have at it…. by “it”, I mean the muffins and coffee. Attempt 1: Gene started off by suggesting we remove an engine mount to make thing easier and then reinstall it later. I passed on this and stated that I wanted to try to do things the traditional way first. So, we jacked up the transmission until it almost touched the firewall. We placed the engine on a hoist with a “tilting” attachment (so we could change the angle of attack of the engine and “dial in” adjustments). We got over the motor mounts started getting close and noted that the tilt device wouldn’t clear the coil. We removed the coil and gained more room. 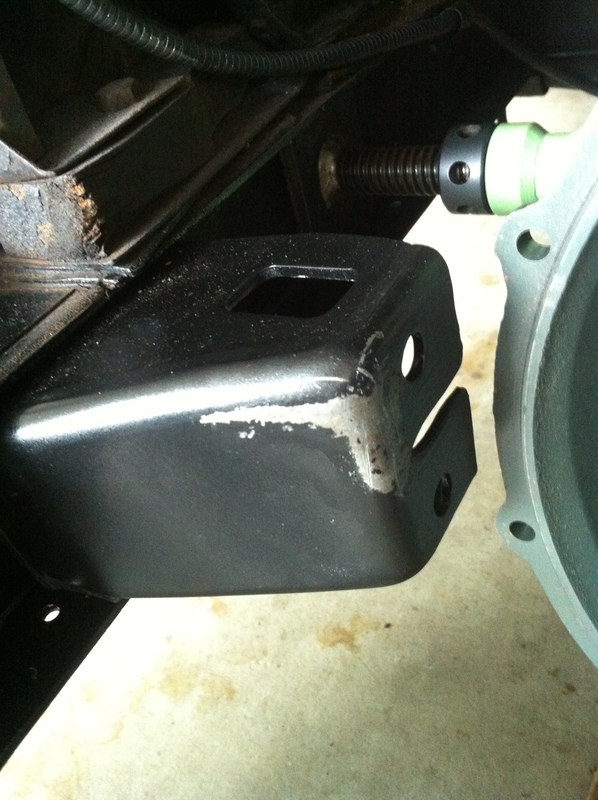 We removed the front engine mount to gain more room. The engine would not sit on the rear mounts and was hanging at a 3% clockwise…… we aborted the mission after figuring we couldn’t get the tilting attachment and hoist further into the engine compartment without doing damage. 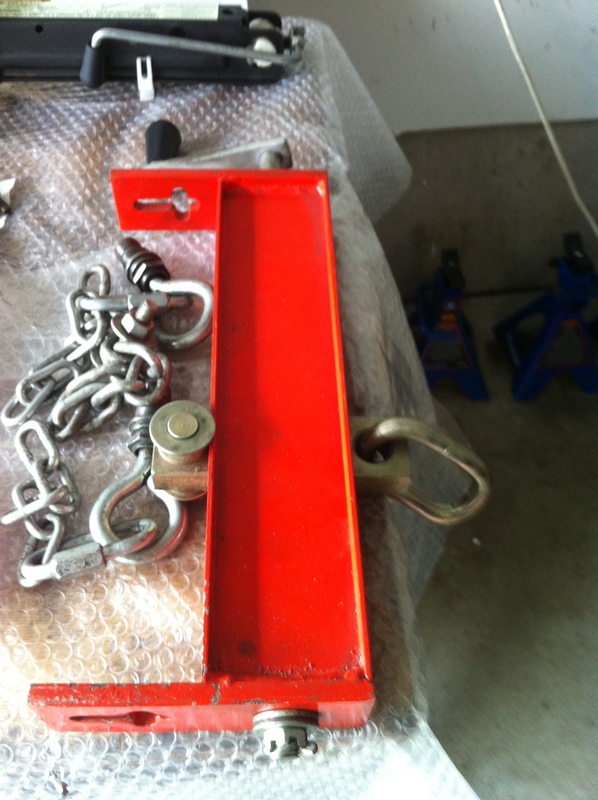 Attempt 2: this time we used a traditional engine lifting attachment and followed the Les Andrews book in terms of placing the lifting point above the #3 spark hole…. no pitch=no good. We scratched the bottom pan against the front frame a few times. We bumped the guide bolts against the fire wall a few times. We aborted the attempt and had more muffins. Attempt 3: Why not try again? If you do the same thing over and over again, eventually shear willpower makes things happen. I greased up the leading edge of the rear engine mounts and we put more attitude on the engine (so the front was higher and the back was lower). After futzing for a bit, I hear a “POP”…. it is just a bolt against the fire wall and no harm done excepting a scratch on the wall — which isn’t is great shape to start. Mission aborted. Attempt 4: Why not reset everything and go at it one more time. This time with the frame spreader in place. 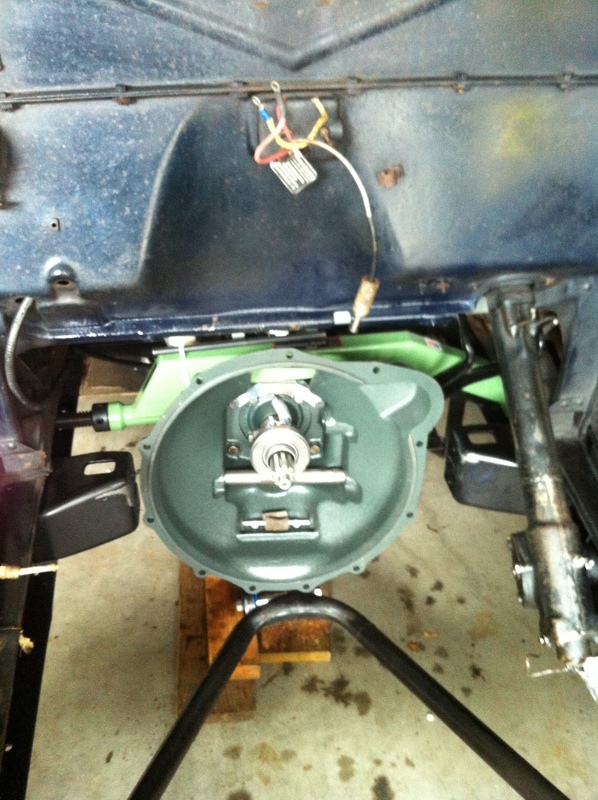 We lower the transmission a bit. 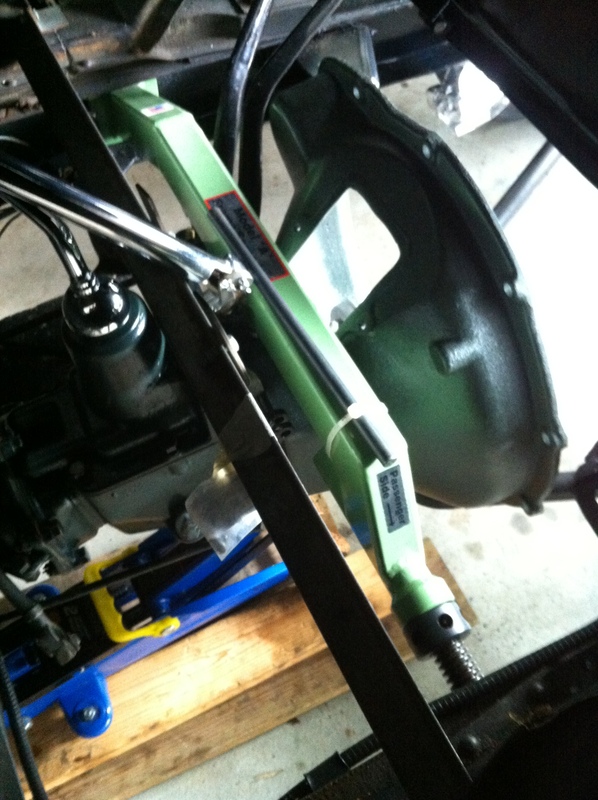 Install a frame spreader and give it a little crank and start hoisting in the engine. We don’t have the angle on the transmission to make this work and can’t get the engine in. FAIL FOUR. It is now 2:00 and time to call it a day.